Spoilers for Throne of Glass are most assuredly happening in this review. None for Crown of Midnight, though! In a sentence or so: Something dark is stirring in the glass castle. Not just the darkness of the king who is ordering Celaena to go out and murder those he considers a threat (aka show compassion to those he oppresses), but something far more ancient, mysterious, and unstoppable. It's almost impossible to write a review for CROWN OF MIDNIGHT because there is just SO MUCH going on! We have Celaena at the center, of course, who is trying to stay on the down low about not really fulfilling her killing orders and instead offering those marked by the king a chance to escape. She begins to question why the King is so worried about these people. Is he planning something? Is there really a rebellion he's trying to quash? And then there's Dorian. Oh you beautiful prince, you. Something is going on with that boy and he's trying to figure it out while nursing his broken heart over Celaena who is quite smitten with Chaol (and for good reason!). Dorian and Chaol also take turns narrating chapters which allows for an even broader narrative of what's going down in the glass castle and beyond. For the sake of mystery, I won't divulge all the nitty gritty details of what exactly is revealed in CROWN OF MIDNIGHT but you should know that it is a lot. A LOT A LOT. We already know from THRONE OF GLASS that there is something magical/fae that was banished 10 years ago by the King. Obviously, you can't really eradicate magic. Seriously, hasn't the King read any books?! When I'm reading CROWN OF MIDNIGHT, I enjoy it. I really do. I like Celaena's voice and I think Sarah J. Maas's writing is addictive and that woman can really craft a cliffhanger. The action is top notch and there's enough castle intrigue to keep my heart happy. But when I'm done reading and I reflect on CROWN OF MIDNIGHT, I realize that it falls short for me as an avid fantasy reader. 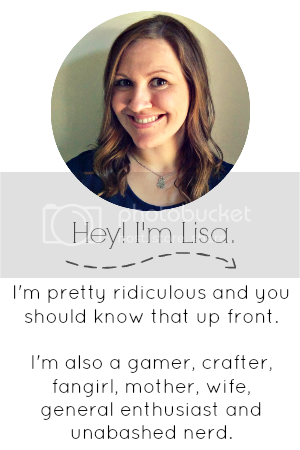 Before you set my blog on fire, hear me out! I love fantasy books that take the time to world build and really commit to a cohesive narrative that feels controlled. With CROWN OF MIDNIGHT, it feels like so many of the fantasy elements are dumped into a melting pot. Again, Maas's writing is totally addictive and her characters are some of my favorites, so I can forgive it while I'm reading...but when I reflect back, I'm left with a sense of being overwhelmed with too much information and not enough development. 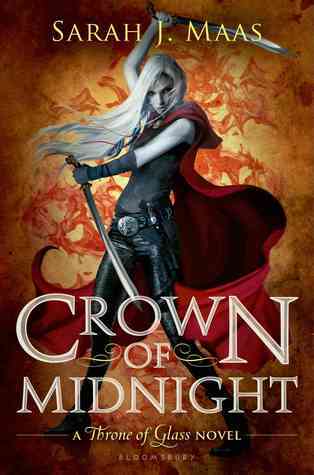 Anyway, if you were down with THRONE OF GLASS then you will absolutely adore CROWN OF MIDNIGHT because Maas brings the noise with this book! We get more of our favorite characters and more happens and just MORE MORE MORE. I am happy that at least we don't have a second book syndrome situation happening! And how this book ends sincerely has me excited for the next in the series, which I just heard will be titled HEIR OF FIRE. Oh yes please. Fix er up: THE NOVELLAS. There are like 15 of them and I will not have it. Put it in the book or don't! This is going to be a big fat series and so I'd think there'd be plenty of room to put those in the published books. And honestly, there were points I was confused while reading and I thought perhaps it was because something was in the novellas and not THRONE OF GLASS. Ugh. Pairs well with: The first in the series (duhhh) but also someplace where you can burrow away undisturbed for awhile because you won't want to put this down! That woman can write! That is FO SHO. I TOTALLY agree about the million novellas. Too much, lady! I loved this book, but can totally see your point about the info/world-building dump at times.